If there were one hair dye that my friends had recommended to me numerous times it would be this one. I was told that I would never look at another hair dye again after giving this one a try. With this in mind, last week I headed into Superdrug (to the hair dye section of course) and headed straight to the Schwarzkopf - Colour mask dye which retails at a bargainous £4. The colour mask dyes are the first hair mask colourants that are apparently as easy to use as a hair mask and to some extent, I would agree as you are provided with a little pot to dunk your hands in to gather product which makes it super easy to distribute with your fingers through your hair. I have to say the colour selection isn't very broad with only two or three shades per colour family, however, I opted for 910 Pearl Blonde which is the lightest shade in the collection. I know that I always hammer home how important it is for faux blondes like myself to stick to dyes with ash toned bases but pearl blonde is okay to use as well as it has a silvery/ash undertone as opposed to a warm yellow or orange. 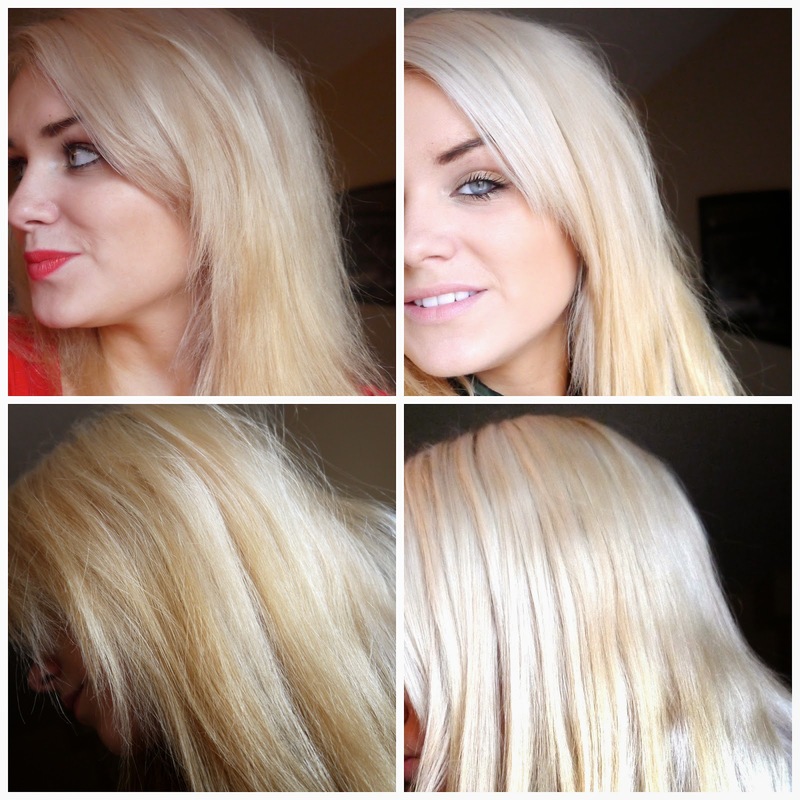 The pearl blonde shade states that it will lift your hair colour up to 2 levels so it is pretty powerful. The formula itself mixes to an electric blue/purple colour which looks pretty scary but is actually excellent news if like me you are trying to eradicate brassy tones as blue/purple are the best toning colours. The instructions advise this shade to be left on for 30-40 minutes, however, I ended up taking a phone call and left it on for almost an hour oops. Upon rinsing the formula leaves your hair feeling super soft, something that my friends had promised. I found this product really easy to use and the colour payoff was great my super dark roots were covered perfectly and have not turned a brassy orange shade. Have you ever tried the Colour Mask dye's?